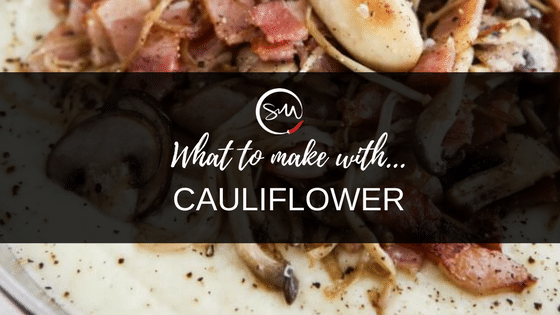 What to make with… Cauliflower! If you would rather prep your cauliflower into ‘Cauliflower Rice’ and freeze raw. Add 500g cauliflower florets to the mixer bowl and chop 5 secs/speed 5/reverse/MC On. Freezing raw will produce a bit of liquid when defrosting. You can dry on a paper towel and even bake the cauliflower rice spread out on a tray in an oven to dry it out a bit. Just leave it in the oven at 180c fan-forced, until you start to see the edges turn golden. Alternatively, some prefer to blanch and dry the cauliflower florets before freezing to remove the extra moisture. The ultimate “will this trick my cauliflower hating family” sauce. The Healthy Carbonara Sauce recipe is worth buying ‘The Healthy Mix’ for in my opinion. Use it as a base sauce to add your preferred flavour to. Personally I pan-fry some chicken and bacon in a little of the Italian Spice Mix and add the sauce to the pan to infuse even more flavour in it. Sometimes I add in a little cream and cheese too. This is a great budget kid-friendly meal. You will find that cauliflowers get a stronger taste the older they are, so the fresher the better. When fresh cauliflowers are expensive, you can also use frozen cauliflowers for this dish. Tip: The sauce consistency is thick and perfect for zoodles as they release a little water. Using it with pasta you may like to thin it down to your preferred consistency. If you haven’t yet made lasagne with this sauce and the Chunky Bolognese, I highly recommend it! Also some Skinnies use this as a base for their Tuna Pasta Bakes and Cauliflower Gratins. Personally for a Cauliflower Gratin, can’t go past the recipe on the Back to Basics Recipe Chip. 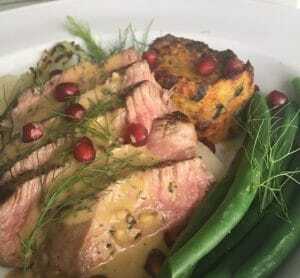 Once you’ve made some Healthy Carbonara Sauce, did you know that the lovely Tanya Pacewicz shared her Sweet Potato & Vegetable Gratin recipe with us? This guest recipe uses some of the healthy carbonara sauce and spice mixes from ‘The Healthy Mix’. Make sure you leave a comment for Tanya on the recipe page if you enjoyed this recipe. 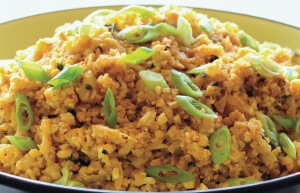 This is the original Skinnymixers Cauliflower Rice and exclusively available in the book ‘A Little Taste of India’. Packed full of flavour and so easy to make. 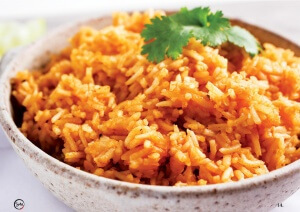 This rice will compliment any of the Indian curries and makes a beautiful side dish. Tip: For anyone doing the 4 Phase Fat Elimination Protocol, this recipe can be made to be P2 compliant by replacing the oil with water. 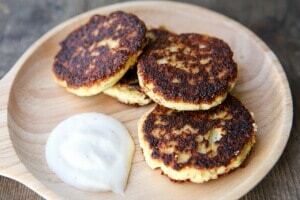 I always try to have a stash of these tasty fritters in the freezer to use as hash browns under my fried eggs. If you are like me and are a lazy skinny who is bad at pan frying, I like to bake these in the oven at 180c degrees fan-forced on a grease-proof papered tray. They will take roughly 30-40 mins, but I like to cook until nice and golden. If your kids like them, they make great lunchbox fillers too. The creamy texture of this soup is incredible. It’s soooo creamy and light at the same time. With so many different flavour variations, there is going to be a new favourite for you in there somewhere. Not only can you use the Greek, Italian or Mexican Spice Mixes from ‘The Healthy Mix’, you can use any flavour you like. Think crispy chorizo or bacon, your favourite kind of stinky cheese, cream cheese… the possibilities are endless. 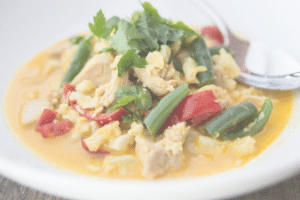 This recipe has an updated version of the recipe available in ‘The Healthy Mix’. Tip: This soup freezes perfectly for easy work lunches. Whenever I am shopping and see Thai Basil I buy it, as it means Malaysian Satay Chicken with Thai Basil Rice will be added to the menu ASAP. 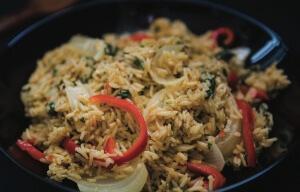 Not many people know that there is a Low Carb ‘Cauli Rice’ variation of the Thai Basil Rice in the book ‘A Little Taste of Asia’. 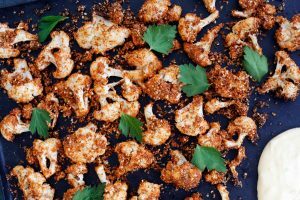 With the abundance of cauliflower, now is the time to try it! If you haven’t tried Thermobexta’s Creamy Caulisotto recipe, then I think it is time to add it to the menu plan. Check out Nik’s tweaks on the guest recipe to make a creamy more traditional caulisotto version with chicken, or give the very popular curry version a go. Did you know there is a ‘Cauliflower Rice’ recipe in each of the ‘A Little Taste of’ Books? The Mexican Red Rice Low Carb Variation is so, so, so good. I actually think I prefer it to the normal rice version. This recipe is exclusive to ‘A Little Taste of Mexico’ and the Low Carb Variation is what you are looking for in the book, under the Mexican Red Rice recipe. 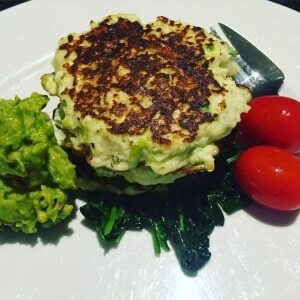 These delicious low carb patties are Kerry’s spicy version of the Low Carb Cauliflower and Haloumi Fritters. This is a great recipe to use up whatever cheese you have in the fridge and jalapeños make everything better right? Tip: Add some guacamole to serve, or use as ‘toast’ for your breakfast eggs. 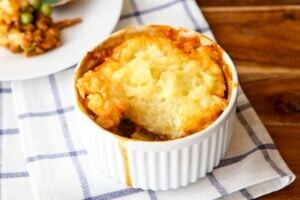 This recipe is perfect to use cauliflower mash with, to top the pie. Simply switch the potatoes for cauliflower and steam them in the Varoma whilst the meat cooks. 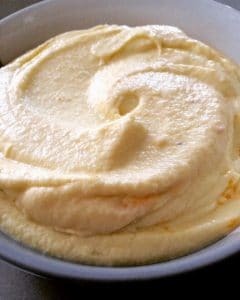 Then you can either follow the recipe instructions for the rustic potato mash or use the ‘No Fail Cauliflower Mash’ recipe as a guide for blending with butter and cheese. So you are Low Carb but don’t want to miss out on the delicious Smokey Baked Beans? Well the good news is you don’t have to! Add 200g of small cauliflower florets instead of the beans and cook for 5 minutes (or some use mushrooms/zucchini). Remove the Worcestershire sauce & maple syrup if you need to be LCHF compliant. You can use a little Tamari, preferred sweetener and chilli flakes or liquid smoke. This recipe is great for tapas or even as a side with grilled meat. You will want to use fresh cauliflower for this recipe and not frozen. You can also cook these in your air fryer, but tend to get a little browner. These aren’t meant to be crunchy, just a nice crust on them. 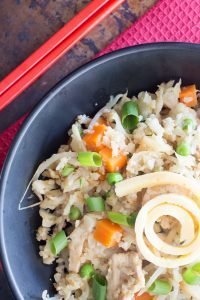 This tasty and fast, mid-week meal is a great base recipe that you can add more spice to if your family likes a little extra in their fried rice. Perfect for a low carb diet, you can utilise any vegetables that need using in your fridge. This recipe is only available in ‘The Healthy Mix II’. 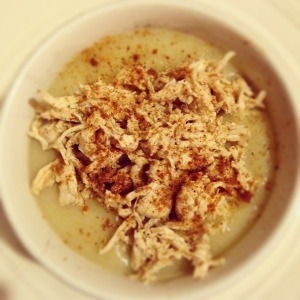 Looking for a low carb potato mash replacement? Well look no further. 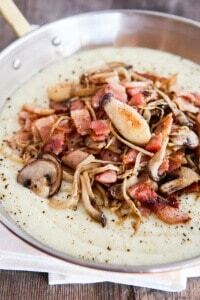 This mash is super creamy and you will love the taste/texture of this popular cauliflower mash. Omg yay I’ve wanted to try the baken beans but didnt know what to sub the beans for. Would ot work with coconut aminos and sugar free maple syrup favouring? It’s awesome to have all the cauliflower recipes in one place. 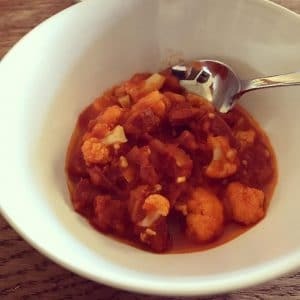 Thank you for compiling thise recipes for Cauliflower!